Since we're spending more time in our kitchens and baths, why not create a space that is personal and unique? 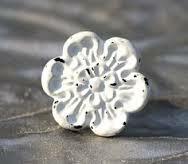 Gone are the days of boring, "everyone has these" types of pulls and knobs. 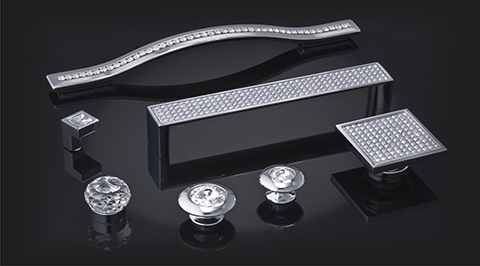 Over the last five years or so, the kitchen and bath industry has introduced some unique and interesting pieces of art and "jewelry" for hardware. 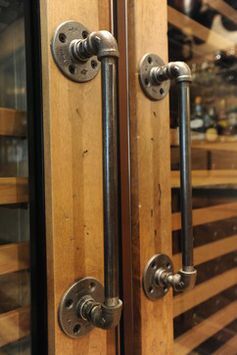 The Modern and Contemporary lines are still the most popular designs but more and more customers are seeking out rustic, industrial (Steampunk inspired) jewel-toned, custom art-inspired, and re-purposed and up-cycled hardware. Unique Shapes and Materials: Modern finger pulls, aluminum rails, mixed metals and leathers and artistic shapes are the "standard" of contemporary design. One of the newer lines of interesting modern hardware comes from Contemporary Pull...High Design Hardware for Modern Spaces. This unique line is offered in four collections and available in materials such as sustainable elegant woods to fantastic aluminum colors ranging from Natural to a very vibrant Peacock. 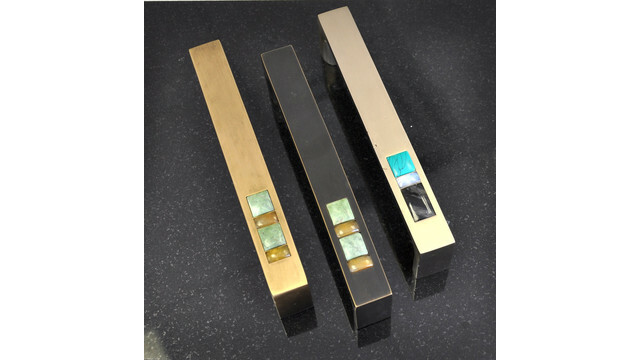 Just recently, Contemporary Pull has added three luxurious colors for 2015...Copper, Gold, and Modern Grey. To learn more about Contemporary Pull, please visit their website here. Jewels and Crystals: Bath spaces are planned with more bling and sparkle than ever before. I remember walking into a bath and thinking "What is a Chandelier doing in here?". Not so unusual these days. But now cabinet hardware is taking center stage with jewel-toned pulls made of Mother of Pearl as well as Precious Stones and Swarovski crystal for pulls and knobs. And you don't need to do the entire space. Picking a few pieces to use as hardware sets the tone of the space without going overboard. Rustic, Industrial (Steampunk), and Upcycled: These three looks often overlap each other creating fun and interesting options for a kitchen and bath. Rustic is not reserved just for country kitchens or baths. More of these pieces are mixed with modern cabinetry. 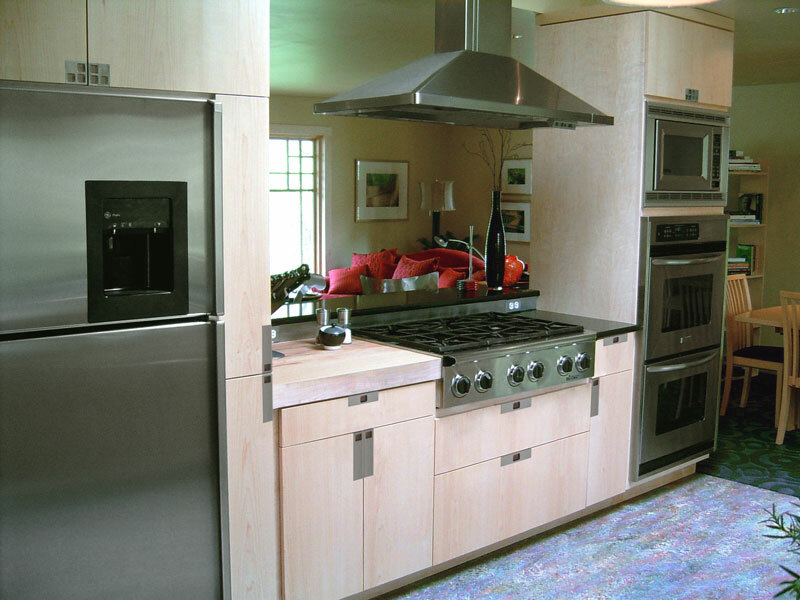 The growing market of Industrial and Steampunk hardware, as well as upcycled and recycled materials, give homeowners the opportunity to create individual spaces not normally seen in mainstream kitchens. It may take time to research authentic rustic pieces from flea markets and new hardware from hand-made design sites (like Etsy) but its well worth it in the end if you truly want a distinctive kitchen and bath.